A must have SEO tool for anyone promoting their business through SEO! Important Note: Our Web Ranking tool has been integrated into SEO Suite and will not longer be sold as a stand alone product. Our Bing, Yahoo & Google website page rank checker tool is one of the most powerful web site analysis SEO-software on the market. It works hand in hand with our Dynamic Submission software to continuously monitor the position of your website ranking for a range of targeted keywords on the major search engines. This website rank tool will fully automate the process of doing this tedious task. You'll easily discover increases and decreases in rankings, as well as monitor your competitor's website positions. Armed with this information and practical guides you can quickly make improvements and increase your website's traffic. Over 85% of total internet traffic is generated by search engines and is subsequently considered the most effective way to drive traffic to websites. However, with millions of websites indexed by the search engines daily, your webpages don't stand a chance of being found if it isn't ranked on the first 3 pages of the search results for your targeted keywords. Understanding the ranking position of your webpages and that of your competitors is the first step in achieving a higher ranking. Attempting to do this manually will result in hours of lost time. Let's say you have 100 keywords want to monitor and you want to check whether your webpages are ranked in the top 30 positions for 20 major search engines. Doing this manually requires you to perform 6000(100 keywords * 20 engines * first 3 pages) individual searches to get the results and compare it with your URLs individually. Our Bing, Yahoo & Google website page rank checker tool does this for you in 5 minutes. That's right. 5 minutes! Click a few buttons and 3 comprehensive ranking reports will be generated for you automatically. This powerful website rank tool for SEO allows you to check your web position for unlimited keywords for multiple URLs on ALL major search engines with one button click - all from one easy to use interface. All you need to do is to click the "Load Keywords" button to load your keywords from your web site automatically, and then click the "Look Up" button. Now leave it to our Web Ranking tool to do the hard yards for you. Any business owner knows a good, well-structured business report makes all the difference. When we re-designed our SEO-software, we kept this in mind by bring you website ranking and position reports that you'll be happy to distribute to other departments and clients. Do you need to send your website ranking and position reports to other company departments or to your clients? 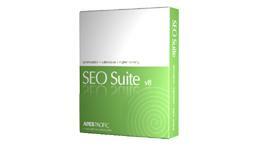 Web Ranking SEO tool makes this easy. It allows you to send search engine ranking and website position reports to any email address automatically after it has been generated. Or if you prefer, you can re-send it again to another email address at any time at the click of a button. Millions of new web pages will be added to the search engines everyday. This means search engines constantly update their database and search engine ranking results pages. It is imperative that you continuously monitor your website position to determine if your website ranking has decreased. With our Web Ranking tool, you can specify the time and interval you want to run the web ranking and position report so you can always stay on top of your competitions. Why not try our SEO Software for Yahoo, Bing & Google website page rank checker tool for free today!